To start, let us say, that everything is vibration. From the chair that you may be sitting in to the paper of this magazine you are holding, everything is in a state of vibration. This is not a new idea. Your ancient mystics have known this for many a millennium, but now your scientists are beginning to understand this and agree with this. It is a wonderful start. From the electrons spinning around the nucleus of an atom, to the planets spinning around suns in the galaxy, everything is in movement. Everything is in vibration. And if it is in vibration, it is putting out a sound. Now, whether or not we can hear this sound is a different matter. Sound travels as a wave form. First, let us say that one way of measuring sound is how fast or slow this wave form is moving. These waves are measured as cycles and sound is measured in cycles per second. This is called its frequency. Very slow waves make very low sounds. Very fast waves make very high sounds. The lowest note on a piano is about 24 cycles per second. The highest note on a piano is about 4,000 cycles per second. Now, we hear from around 16 to about 16,000 cycles per second. Yet just because we can’t hear something does not mean it is not vibrating, nor creating a sound. Dolphins can project and receive information upwards of 180,000 cycles per second, more than 10 times that of humans. And this to them is sound. Do not let the notion that if you can not hear an object it is not vibrating or making a sound. There–we have solved the old Zen Koen asking about a tree falling in the forest. Every object has a natural vibratory rate. This is called it’s resonance. One of the basis principles of using sound as a transformative and healing modality is to understand the idea that part of the body is in a state of vibration. Every organ, every bone, every tissue, every system–all are in a state of vibration. Now, when we are in a state of health, the body puts out an overall harmonic of health. However, when a frequency that is counter to our health sets itself up in some portion of the body, it creates a disharmony that we call dis-ease. This is very simple to understand, yes? Now, if we were somehow able to create the correct resonant frequency for something that was vibrating out of harmony, say for example, the liver, and we were able to project this frequency into that area, one could conceivably create a condition of healing by restoring the imbalanced area back to its own resonant frequency. It is as though your body and all its parts are like some wondrous orchestra that is playing some sort of “Symphony of the Self” when we are healthy. But what happens when the third violin player from the end looses their sheet music? Soon this player begins to play out of harmony and rhythm. They are not only playing the wrong notes and the wrong timing, they begin to affect the whole string section. Pretty soon the entire orchestra begins to sound badly. This is what happens when a counter frequency sets into the body. Currently, our medical approach to dealing with this problem is simply to either give the poor string player enough drugs so they collapse and are no longer in the orchestra–either that or to cut the head of this player off with a broad sword. This does alleviate the initial problem. The string player is no longer playing the wrong notes. In fact, they are no longer playing period. But what if it were possible to somehow give this player back their sheet music. What if it were possible to somehow encode and project the correct resonant frequency back into the organ and get it vibrate to its proper frequency? This is the basis of using sound for healing; to restore back to harmony some portion of the body that is vibrating “out of tune”. This is a marvelous concept and one which is becoming more and more understood as time goes on. There is another aspect of sound healing which we will deal with later. It has to do with the use of sound frequencies to nullifies the vibrations of that which set the body portion off its normal resonance in the first place. We will clarify this concept in the future. For now, the first is enough for your understanding. Many of your new spiritual scientists, discoverers and therapists are working with this concept of resonant frequency healing to create balance. Many are successful. They have developed different instruments, machines, tapes and other sound devices which project the healthy resonant frequency of a body part, (or, for the matter, of the chakras) into a person. We are all for the various devices and what we call “toys” that you on the Earth plane seem so fascinated with. We would like to suggest that while some of these devices may be very effective for restoring resonance back to that which is vibrating out of harmony, you all have within yourselves the most powerful, effective and wondrous device for healing that you can imagine. It is free, extremely efficient and it does not require batteries or electricity. It is your own voice. Your own, if we may, God given instrument for sound healing. It requires only a little training to use, does not require another operator to be applied, and it allows your to find the exact frequencies for resonance. This does not happen with many of your toys which are “locked into” specific sounds for specific parts. This does not allow for frequency shifting, which is the change of the vibratory rate of either a part of the body, or the whole body and its associated energy centers as well. We will discuss more of this later as well. You on the Earth plane like your toys. Your hospitals and medical centers are full of many toys that project sound and other vibrations. You now have catalogs full of these toys that you can use in your home to induce meditation and what not. Many of your new researchers have developed sound devices that project different frequencies into you for different effects. They are useful and sometimes very fun and we encourage them. However, it is important to realize that they are merely tools producing and effect. And this effect can be achieved without them if you are interested in doing a little work on yourself. What is most interesting, however, is that while many of these sound devices and recordings do create positive change, the actual frequencies or notes that they use are not the same. To illustrate this, let us discuss your chakras for the moment. They are these spinning discs that feed energy into what becomes the physical body. When Jonathan was first researching this area many years ago, he came across a simple system that worked with the 7 chakras using the seven notes of the C major scale. In this system, your root chakra was vibrating to the note “C”. 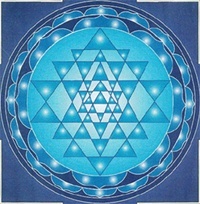 The next chakra resonated to the note “D”. The next chakra to the note “E” and so on, with the crown chakra vibrating to the note “B”. It was a very easy system and Jonathan was quite pleased to find this. However, as he continued with his investigation into this, he found many other systems that worked with many different notes besides these. The variety of different notes that was used was quite extraordinary. And none of them was in agreement. This caused Jonathan some perplextion as he could not understand how all they different systems were not in agreement with each other and yet all of them seemed to work to some degree. Then he developed a formula which he first put forth in his book HEALING SOUNDS. The formula is this: “FREQUENCY + INTENT = HEALING”. Frequency of course, is the actual sound used. Healing was a term he used back then to describe the process of putting something into its healthy resonance. He would today use the term “Frequency Shifting”. Intent, in this formula, is the important ingredient. Intent is the energy behind the sound. It is the consciousness that is encoded into the sound. Intent is very important. Jonathan began to realize that it might be possible for two people to make the same sound and have a very different response, depending upon the energy that was put into the sound. Have you ever had someone you were not particularly fond of see you at a party and say in a snake-like tone “Good to see you” and felt as though you immediately wanted to leave the party. While the words (or the frequency) may have been one thing, the intention (or energy behind the words) said quite another. And the effect was not one of welcoming, but rather something very different. This is an illustration of how intentionality affects the outcome of the sound. Returning to the subject of the chakras, Jonathan found that even specific mantras would resonate different chakras, depending upon the intentionality of the person giving them. The “Om” might resonate the heart chakra, or the belly chakra or the third eye–it all depended upon what a spiritual master might be teaching to a person. As Jonathan began to realize the importance of intention, he began to spend considerable time in his teachings stressing the important of this. And at the time, it was necessary to do this. However, we admit that he went a little overboard. Initially he began by talking with scientists and medical doctors who were so interested in examining only the frequency of the sound that the idea of intention was a new (and somewhat ridiculous idea to them). Nevertheless, Jonathan continued sharing the importance of intention in his workshops, lectures and writing. And as usual, things got a little out of alignment. People began to think “Well, it doesn’t matter what sound I make as long as my intention is there”. On one level, this is true. On another level, it is not. The formula which Jonathan was given was “FREQUENCY + INTENT = HEALING”. This formula was created for the 3rd Dimensional Earth plane as it is currently evolved in your time and space. While it is true that in higher dimensionalities, Intent (and consciousness) does create all, very few beings on your planet have reached the level of development, where the actual sound they create is unimportant and the intention is everything. Now undoubtedly, there are spiritual masters on your planet who can belch or create any such sound and produce miraculous results. However, a majority of you (while you may perceive you are spiritual masters, and you may be) have not reached the state of development where you can do this. We illustrate this point by saying that if you wish to calm someone down with a sound and then you shout in their ear, the result will be that your shouting will undoubtedly produce severe reactions of agitation in the individuals. Their heart beat, respiration and brain waves will all escalate and they will probably not enjoy your shouting in their ear, regardless of your intent. So we say that until you can levitate or dematerialize or do any of a number of frequency shifting exercises that you will ultimately be able to do, we urge you to pay attention to the frequencies that you are using. As well as the intentionality that you are putting into these frequencies. Jonathan Goldman is an international teacher and pioneer in Sound Healing. He is the author of HEALING SOUNDS, president of Spirit Music and director of the Sound Healers Association in Boulder, Colorado. Jonathan has created numerous recordings, including “Angel of Sound”. He travels throughout the world presenting Healing Sounds Seminars. He may be reached at (303) 443-8181. Shamael is the Angel of Sound, an inter-dimensional being whose energy has been on this planet since its inception. Shamael is the true name of the angelic presence known as “Metatron”, guardian of the Kabalistic energies of Kether. He is present on any sacred sound. He is a consultant of Jonathan. He may be reached by chanting “Eheih Shamael”.